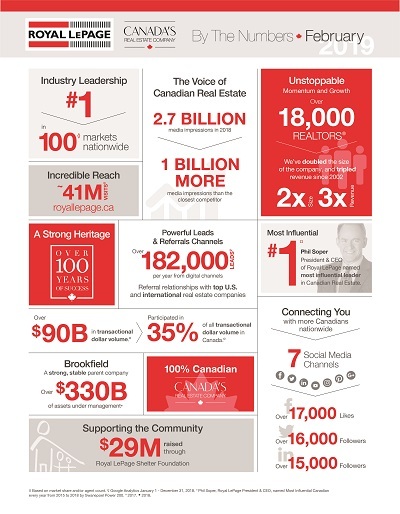 We are pleased to provide you with “Royal LePage By The Numbers”, a marketing piece promoting our key facts and stats. We are currently offering a national version, as well as five regional versions (for the regions where we currently hold a number 1 position). We trust you’ll find this piece useful in your marketing and listing presentations. We’ll continue to keep this piece updated, as stats change, so please ensure you check back here on a regular basis for the latest versions.